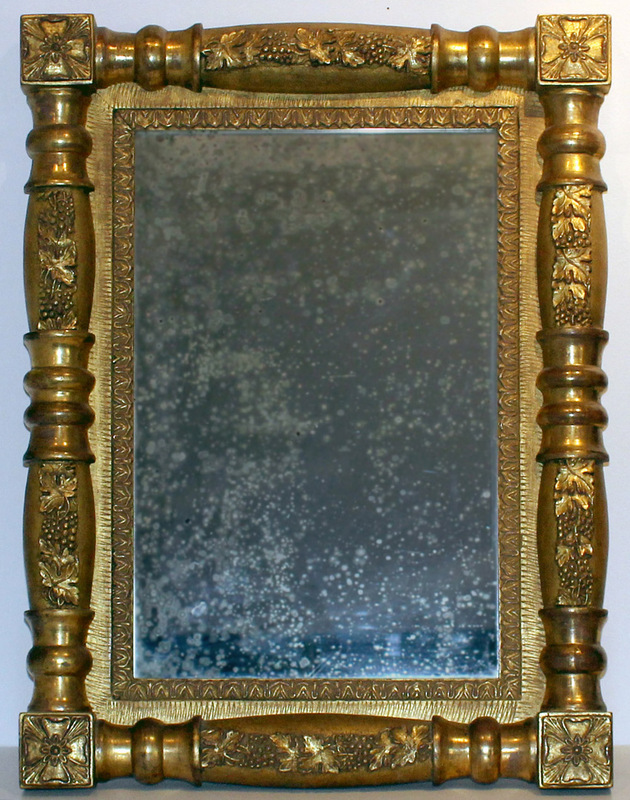 Fine carved and gilded frame with original looking glass, with carved decorative rosette cornerblocks and grape leaf decoration, split baluster surround. American, circa 1830. Excellent condition, some foxing to the mirror consistent with age.